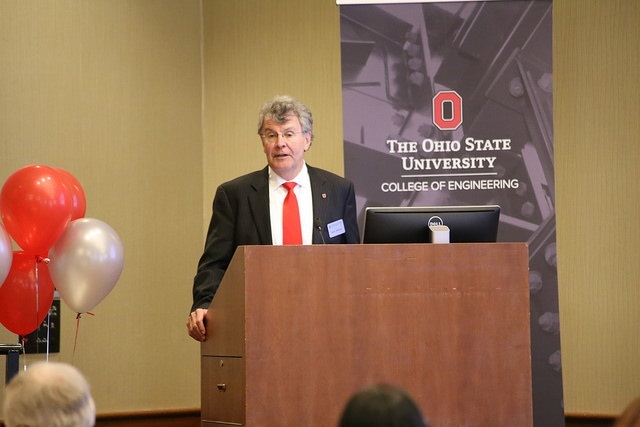 On March 6th, 2018, the Department of Engineering Education launched a partnership with the Kern Entrepreneurial Engineering Network (KEEN) at The Ohio State University. 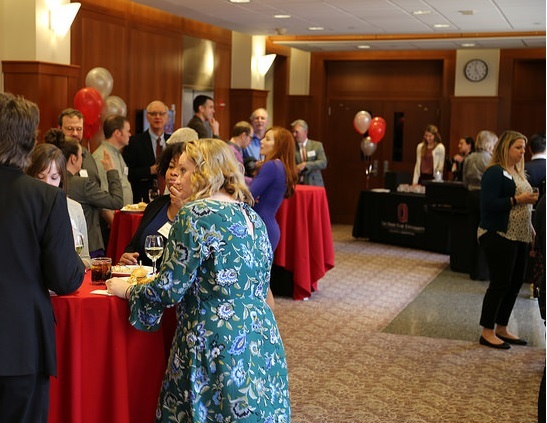 79 Ohio State students, faculty, and industry professionals joined for the dawn of an innovative approach through this network which aligns OSU with over thirty other universities equally committed to curiosity, connections, and creating value. The celebration took place at the Blackwell Inn, and began with opening addresses from Dean David Williams, Department Chair Monica Cox, and an overview of what the KEEN partnership has offered the University of Dayton from Ken Bloemer, Director of the Visioneering Center. 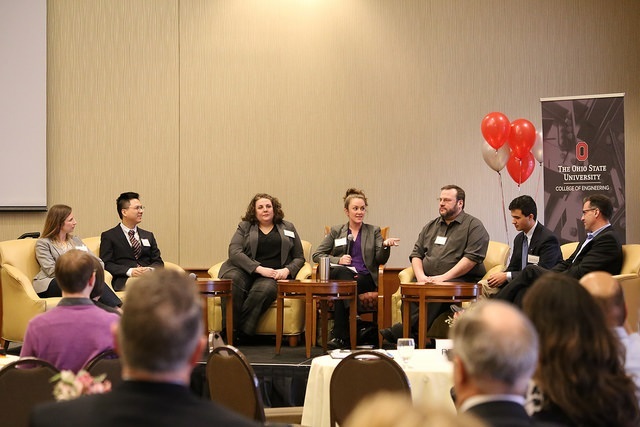 A panel consisting of three faculty members on the KEEN project: Dr. Rachel Kajfez; Dr. Patrick Herak; and Dr. Denver Tang; industry professional and advocate, Shellie Caudill of LBrands; OSU Professor and former Battelle innovator, Jay Sayre; and OSU student and University Innovation Fellow, George Valcarcel, offered attendees insights on the revolutionary approach of KEEN. The panel elaborated on the four phases of the KEEN project: research, implementation, assessment, and dissemination. Faculty described the differences between entrepreneurship and the Entrepreneurial-Minded Learning (EML), which is core to the KEEN Network. 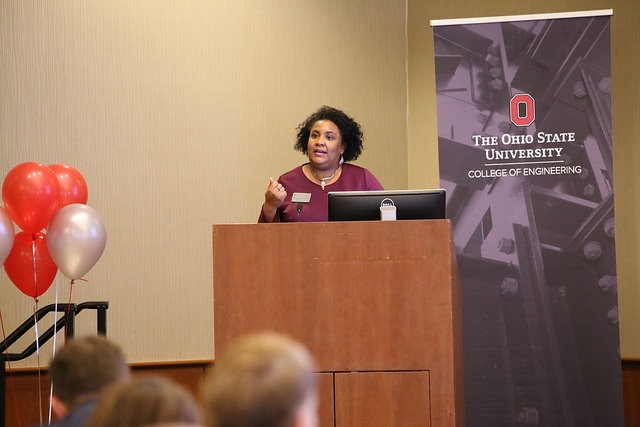 Shellie Caudill emphasized industry excitement around EML, and Jay Sayre linked how Ohio State will prepare students with those skillsets while pursuing undergraduate degrees. 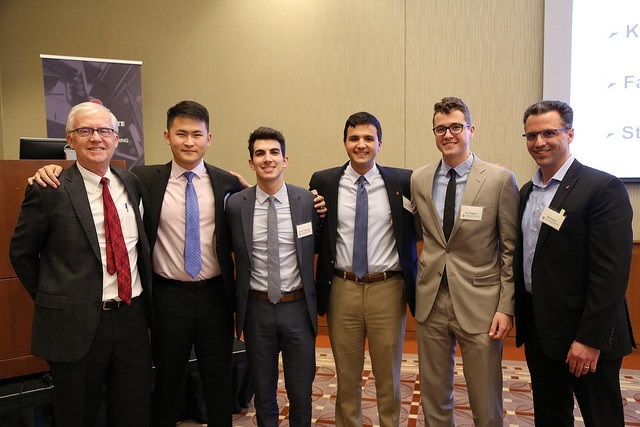 After fielding questions from the audience, Ohio State demonstrated its commitment to this budding partnership by pinning the University Innovation Fellows. The University Innovation Fellows is a highly selective student organization consisting of four undergraduate students. They are currently partnered with KEEN. Finally, attendees convened in Pfahl Hall for a reception to end the evening and celebrate the beginning of a thriving partnership. For more information about the Ohio State and KEEN partnership, visit our KEEN page or e-mail Ana Casado at casado.1@osu.edu.